Klaus Søgaard graduated as Candidatus Juris (Cand. Jur.) from the University of Aarhus in 1980. He has been working with the law firm Gorrissen Federspiel since then and has been partner since 1986. Klaus also has a masters degree (LL.M. from University of the Pacific, California, USA). In 1984 he was foreign associate with the law firm Surrey and Morse in New York City. Klaus advises a broad range of Danish and foreign companies and has a strong position in advising listed companies on securities law and corporate matters including corporate governance. He is chairing general meetings at many listed public companies, including some of the largest in Denmark. 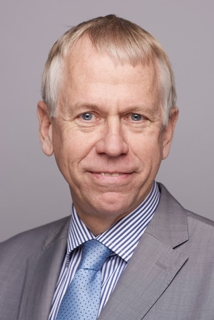 Klaus has over the years represented Gorrissen Federspiel in several international matters including the International Bar Association and is responsible for the firms relations within the Baltic Countries. Klaus is chairman of the board of a number of charitable foundations with an international or Danish focus. He is member of the Danish Bar Associations Disciplinary Board responsible for enforcing ethical rules and standards and further a member of Gorrissen Federspiel’s ethical committee. Your support is vital in enabling the Foundation to fulfill its mission. Please feel free to contact us, if you would like to know more about how you can get involved.